solunio Company type D.I. S.n.c. S.a.s. S.p.a.	S.a.p.a. S.r.l. S.c.r.l. Associazione	ZAO	OAO	OOO	IP	GUP	NPO	L.t.d. P.l.c. U.l.t.d. SAS	SEM	SCOP	SA	EURL	SARL	SCA	SCS	SNC	SEP	a.n.d. a.d.	e.G. e.V. GbR	OHG	KG	PartG	KGaA	GmbH	AG	AO	TOO	TDO	GP	KT	Ure	PT	a.d.	d.o.o. k.d. o.d. S.A.	S.L. S.L.L. S.L.N.E. S.C.	S.Cra	AAT	ZAT	PUP	TAA	Verein	eG	KolG	KG	KomAG	GmbH	SNC	SCA	Sarl	SC	AG	SA	B.V.	V.O.F. C.V.	N.V.
With our dynamic data management platform Visual Shop Floor®, we support our customers in the continuous improvement of their production performances. Visual Shop Floor® enables manufacturing systems to systematically collect and intuitively analyze data. From these findings, sustainable ways of process optimization can be developed and evaluated. In addition to streamlining manufacturing processes, our products establish the foundation of daily production. In that way, our work is based on our basic principle, which is the same as our business model: we are constantly on the cutting edge of professional software development thus providing our Clients the very best production software assisted optimization. This fundamental basic principle is reflected in our company values: loyalty, transparency and integrity. With our dynamic data management platform Visual Shop Floor®, we support our customers in the continuous improvement of their production performances. Visual Shop Floor® enables manufacturing systems to systematically collect and intuitively analyze data. From these findings, sustainable ways of process optimization can be developed and evaluated. In addition to streamlining manufacturing processes, our products establish the foundation of daily production. In that way, our work is based on our basic principle, which is the same as our business model: we are constantly on the cutting edge of professional software development thus providing our Clients the very best production software assisted optimization. This fundamental basic principle is reflected in our company values: loyalty, transparency and integrity. With our dynamic data management platform Visual Shop Floor®, we support our customers in the continuous improvement of their production performances. 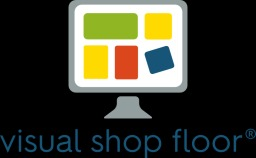 Visual Shop Floor® enables manufacturing systems to systematically collect and analyze data. From these findings, sustainable ways of process optimization can be developed and evaluated. In addition to streamlining manufacturing processes, our products establish the foundation of daily production. In that way, our work is based on our basic principle, which is the same as our business model: we are constantly on the cutting edge of professional software development thus providing our Clients the very best production software assisted optimization. This fundamental basic principle is reflected in our company values: loyalty, transparency and integrity.